She's enjoying a stellar year and is currently performing to sell out crowds on her world tour. 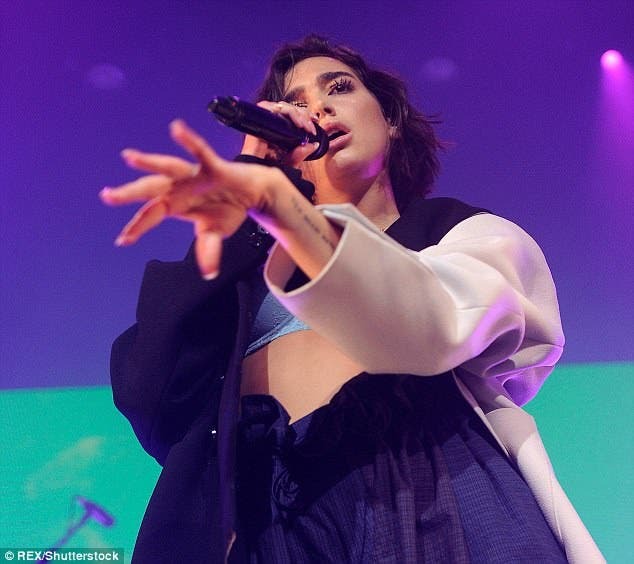 And as her fourth headlining tour hit the Olympia Theatre in Dublin on Monday night, Dua Lipa wowed in a barely-there ensemble for the energetic performance. The Brit talent showed some skin in a turquoise bra as she belted out her hits for the crowd. 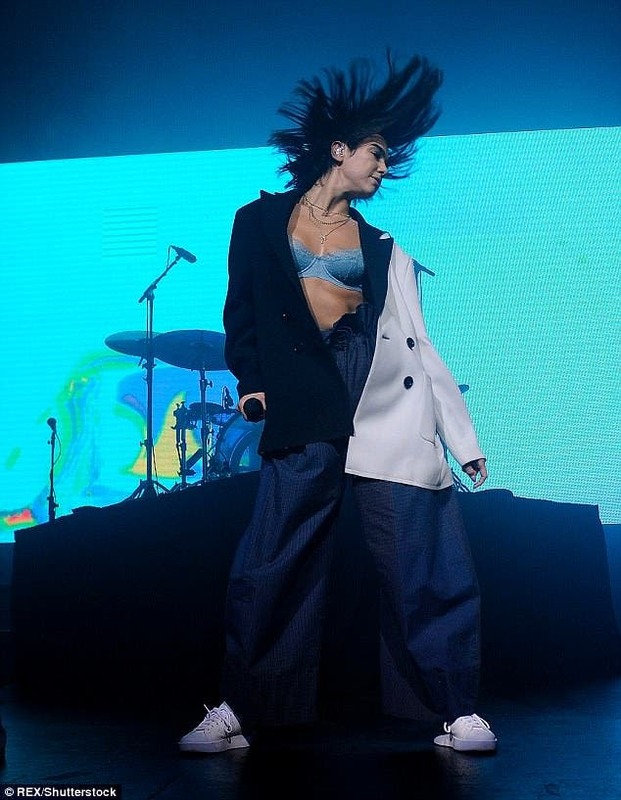 Dua, 22, looked incredible in her bra and suit combo, teaming her lace lingerie with a pair of high-waisted trousers and over-sized jacket. 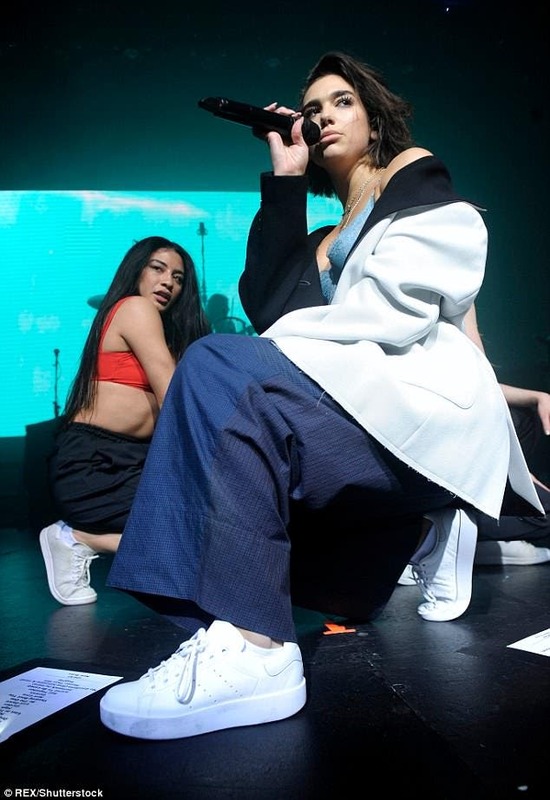 She added a pair of white trainers, perfect for her high-energy gig, which saw her bouncing around the stage with her scantily-clad backing dancers. Dua is most known for her hit single New Rules that has reached more than a billion views on YouTube. In February, the artist was recognised at the BRIT Awards and she took home British Female Solo Artist and British Breakthrough. Before hot footing it to Paris, the award-winning musician was the headline act of Bruno Mars' Australian tour in March. Meanwhile, StubHub has revealed that Dua Lipa's tour is the third best-selling concert on the ticket marketplace for the month of April. The singer was beaten to the crown by Sam Smith, who is preparing to hit the stage for the European leg of his The Thrill Of It All tour, and former 1D star Harry Styles in second place. Her tour has already taken her across Europe and the US since she kicked it off in Brighton last October. Next up the chart-topper will be back in the UK before heading East to Japan and Malaysia.